The key role of G protein-coupled receptors (GPCRs) in human disease underpins their importance to modern medicine. 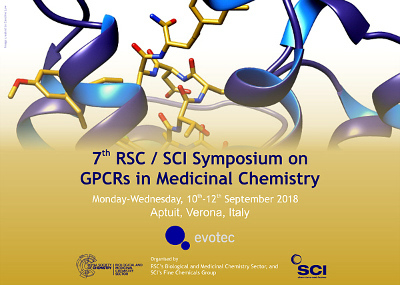 We are pleased to announce that Aptuit, Italy will support the seventh meeting in this series on GPCR drug discovery, which will combine cutting edge medicinal chemistry with innovative structural biology and novel drug design approaches. In addition, there will be a poster session, trade exhibition, two evening dinners and vineyard visit, and accommodation agency booking service.